Rabia Chaudry is a wife, mother, attorney, President of the Safe Nation Collaborative, National Security Fellow at the New America Foundation, and a senior CVE consultant. As a civically engaged legal practitioner, Rabia has experience in immigration law, civil liberties, and national security. The focus of her legal practice has been federal immigration law as well as representing immigrants during FBI and JTTF investigations. Her work with the New America Foundation focuses on the empowerment and inclusion of American Muslim communities in the national security realm. Her firm Safe Nation Collaborative works on two fronts: providing CVE and cultural competency training to law enforcement, correctional, and homeland security officials, and providing national security and CVE training to Muslim communities and institutions. Safe Nation’s objective is to equip stakeholders in the CVE effort with the tools and information needed for effective engagement and cooperation. To date, Safe Nation has worked with the US Department of Homeland Security, US Department of Justice, the National Counter Terror Center, the Maryland State Police and Correctional Officer Training Commission, and the DC Metro Police Department. Rabia is also a Fellow of the Truman National Security Project a Fellow of theAmerican Muslim Civic Leadership Institute, and a Fellow of the Shalom Hartman Institute. In the past she served as the President of the Muslim Coalition of Connecticut, a nonprofit organization committed to coalition building, interfaith relations, and community service. Rabia currently serves on the Board of the ACLU of Maryland, and is part of the National Counter Terror Center’s CVE Leadership Forum. Rabia is a frequent public speaker on issues related to diaspora Muslim communities, and her writing has appeared in numerous outlets including Time.com, Patheos, the Huffington Post, the Chicago Times, the Hartford Courant, CommonDreams.org, The Truman Project, and The Moderate Voice. She has been a speaker at The Global Counterterrorism Forum, the Islamic Society of North America’s Annual Conference, the Islamic Circle of North America’s Annual Conference, and the 28th Annual Peace, Justice, and Environment Conference as well as dozens of local and regional events. She is owned by the cutest cat in the world, Mr. Beans, and can cook a five course meal in under ninety minutes. When she grows up she wants to be a renowned author of many books, a fearless traveler, and the mother of the first female American Muslim President of the United States. She’s pretty sure it’s all going to happen. 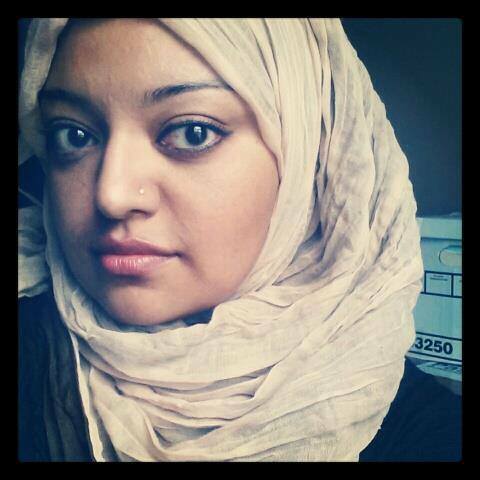 Follow Rabia on Twitter @rabiasquared. If you do, be nice.